In the excitement of SolidWorks announcing eDrawings Pro for Android, I completely missed another announcement at the very bottom of the SolidWorks blog post. eDrawings Meetings, a collaborative, real-time markup and interaction mode, is being shown as a sneak peek at SolidWorks World. 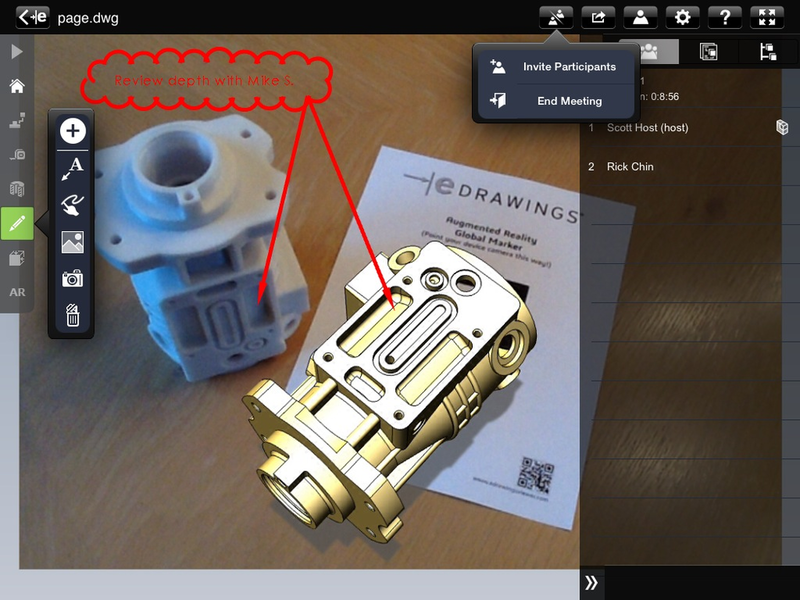 eDrawings Meetings will allow remote interaction and utilize the Augmented Reality (AR) as well as other markup tools in eDrawings in real-time.